Does this qualify as "news"? 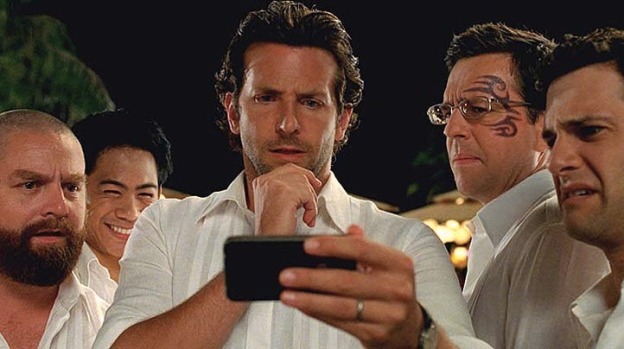 Craig Mazin, who co-wrote "The Hangover Part 2," has been hired to write Part 3, as well, according to Collider. That's what happens when your film grosses more than $130 million over the Memorial Day Weekend. If we were to do a third one, and quite honestly we really haven’t talked about it as we just finished the movie two weeks ago, this is the first time we’ve all been together in awhile. If we were to do a third one, if the audience…if the desire was there…I think we have a clear idea where that would head and it’s certainly not in the same template you’ve seen these movies and obviously we always envisioned it as a trilogy as you can imagine (lot’s of laughter), the third would very much a finale and an ending. The most I could say about it and I haven’t discussed it with these actors is that it is not following that template but very much a new idea. As far as where it takes place…I’m very open like the Olympic committee to being pitched and presented cities…flown around with wine and women and bribed and then I will make my decision. While we're happy to hear that they plan to mix things up a bit for the conclusion of the trilogy, we find the idea that Phillips and friends "haven't talked about it" insanely disingenuous. Really? It's never occurred to you to do a third one? Call us--we've got some other ideas for you. Let's just assume that "Hangover 3" will be here Memorial Day Weekend 2013, will involve Alan's briss, the death of Mr. Chow, will take place in Prague and will have Doug spend 85% of the film alone at a hotel.